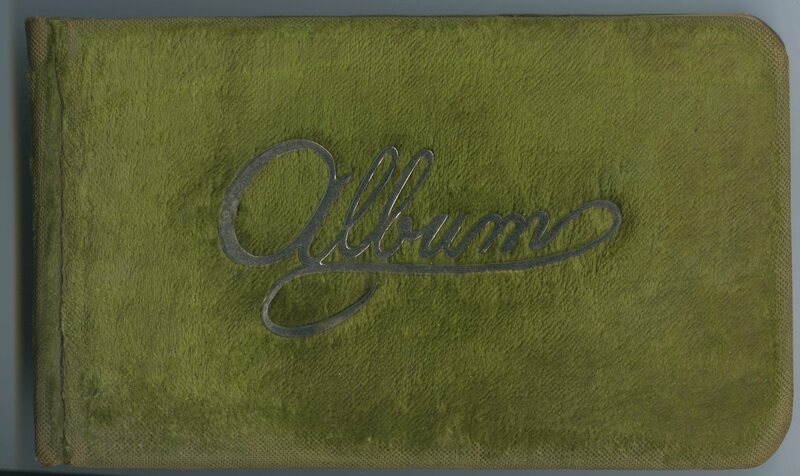 but the photograph below does not do justice to Minnie F. Burr’s autograph album, which was covered with deep-pile, chartreuse green velvet with the word “Album” inlaid in shiny celluloid letters. 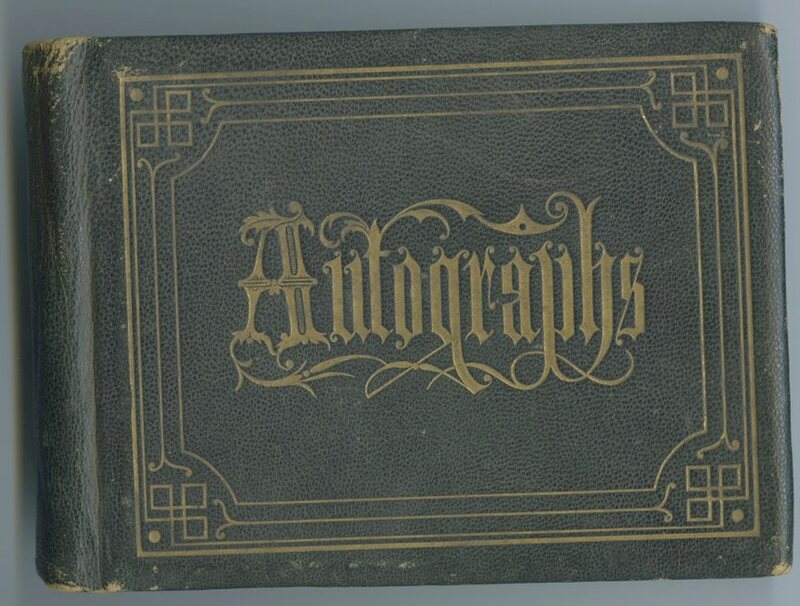 Who among the readers of this preface has not been invited to write a few words of sentiment in the Albums of a friend? As an aid to the many thousands who have received this invitation and have not known what to write, we offer this collection of choice verse and prose . 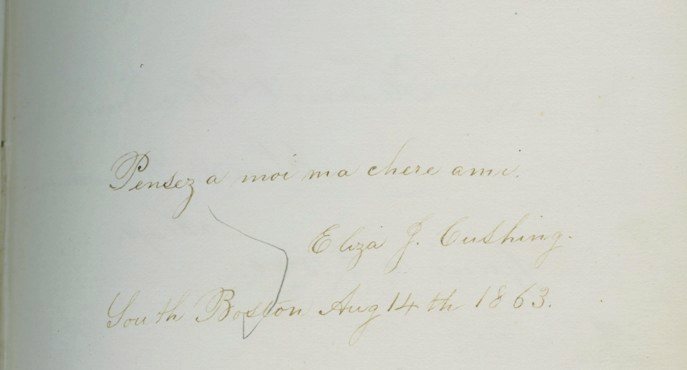 . . embracing sentiment, affection, humor, and miscellany . . . .
or with a touch of sophistication (like Eliza Cushing’s perfect French in Hattie Cushing’s album, August 14, 1863). 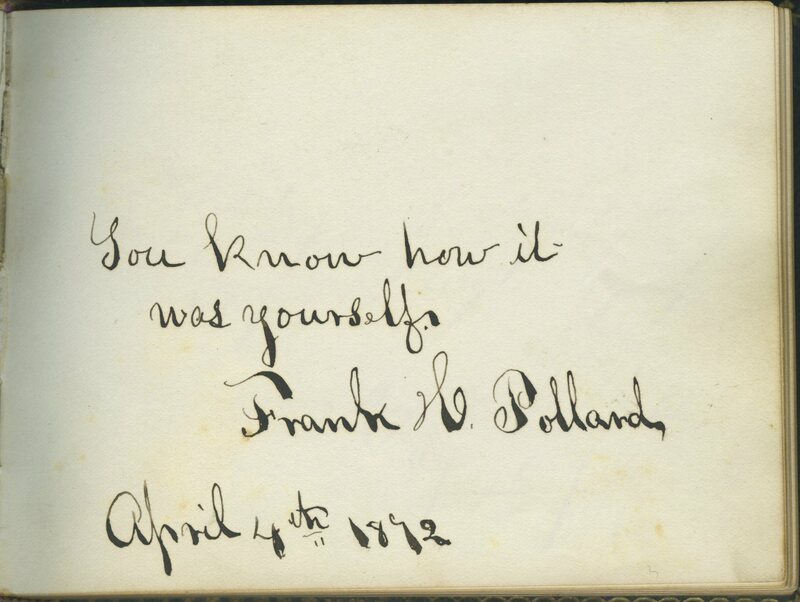 And inside jokes must have been as prevalent then as they are now: who knows what Frank Pollard meant by this vaguely ominous note made on April 4, 1872 in Willie Leavitt’s album? This entry was posted in Uncategorized and tagged Burr family, children, Cushing family, Derby Academy, Hersey family, recreation, Remington family.